Whirlybird, newest technology in the constant war against the birds. The device reflects the sun as they attempt to land on your home. Bird scare devices are a popular choice when trying to rid your property of nuisance annoying birds. Using bird scare devices takes a great deal of persistence. They can be a valuable addition to your bird control tools. That is the reason that we use multiple devices and offer options, and a whirlybird is just another tool. There are numerous devices that offer a wide variety of frightening devices, including visual and audio products, which will help you get rid of nuisance birds . 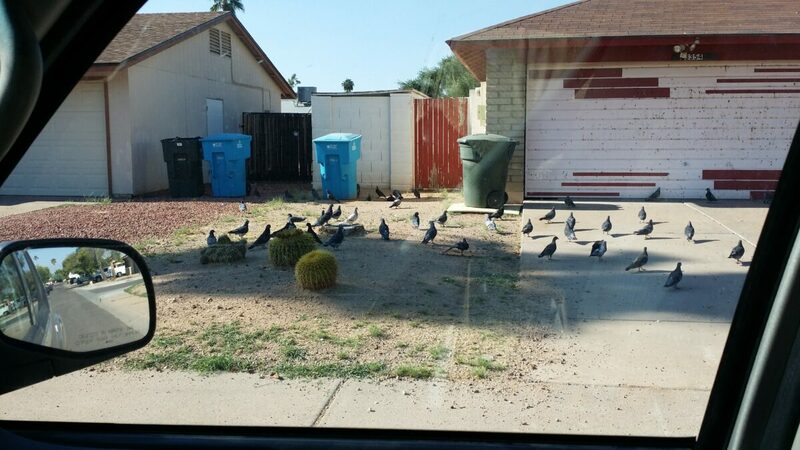 The other thing to remember is that if we exclude a certain area, the birds may move. This causes considerable issues, but honestly I don’t always know which way they may go. The best part of working with ProBest is that we have seen lots of things work and many DIY fails. Call us today 480-831-9328. Fail or worse? Sometimes it turns out to just be a mess, this is also why we don’t use plastic. The metal ones hold up better in the sun and heat and tend not to brown and break. The best plan is to hire a Pest Management Professional – state certified, insured and the knowledge to do great work. When the poop falls and it will, where does it land? In the way of patrons at a restaurant, boutique or food store? Does that make them buy less, shop less or just gross them out? Use quality products, think about how pigeons operate and install like you mean it. Or better yet call a Pro. Done and done right! So this netting is there to stop the pigeons from landing, and obviously it isn’t working. Birds don’t like landing on things they cannot see. 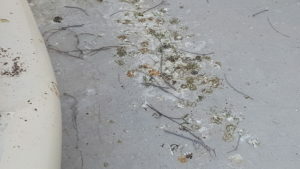 With the netting in place the birds should refrain from landing and the load of the roof with feces should be minimized. Over years the buildup of feces can add considerable weight to the structure and possibly cause the collapse. Readjust the netting, create higher peaks. Possibly add deterrents like mechanical owls or flashing devices. Birds are adaptable so you must think and be proactive. Chicken wire isn’t in my repertoire of work stuff, I think it looks unprofessional. This looks like a DIY or do it yourself job and wouldn’t cut the muster at my place. This is especially true if it was the front of the home or business, for just a little bit of time and money please use hardware cloth. Square angles will assist in making the corners and the entire job look better. trust me. Hardware cloth can be worked into straight lines, and also screwed into place or bent under shingles or tiles. Pigeons are generational and will continue for life to nest in areas of your home. As a result the birds must be convinced to abandon the spot and they will continue to roost on the higher peaks. If there are 2 story homes in the neighborhood, they will use those areas to keep watch. They will nest in areas that afford them opportunities to have their back. Look for possible nesting areas. In conclusion, discourage them, don’t feed them. 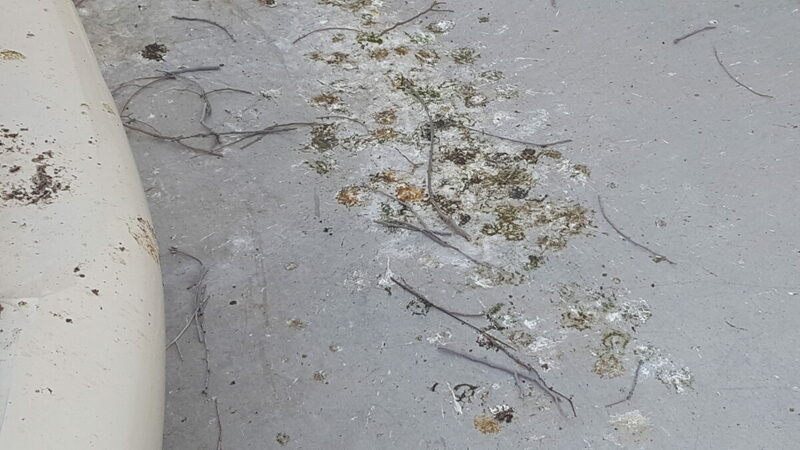 I really hate the mess these birds make, they poop and we track it in. A lot of animals create havoc in our lives including rodents and pigeons. 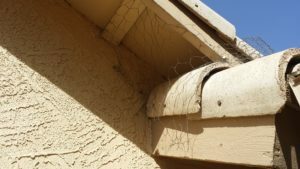 They can build nest within our homes and after we get rid of them we may have secondary issues with parasites and other potential critters. I also hate the idea of them spreading the germs and bacteria into our lives, but I guess they were probably here first. Don’t use chicken wire or rocks to deter them. Chicken wire looks bad and they will go around the stones or bricks. Foam can be a attractive way to seal but in my book, NOT. It all depends on the circumstance and the application. I think it just creates a mess and it’s not easy to clean up. Remember it expands and then you have to trim it. 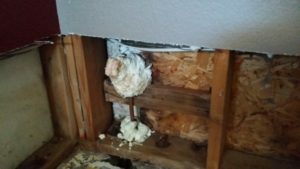 Mice, rats and rodents in general can just chew their way through this stuff, so you must use some type of steel or cooper wool to prevent them from getting in. check your home frequently to prevent possible infestations. cut down on water around the home. Pigeon Crap feces whatever you want to call it. I hate the messes these birds/pigeons leave behind. 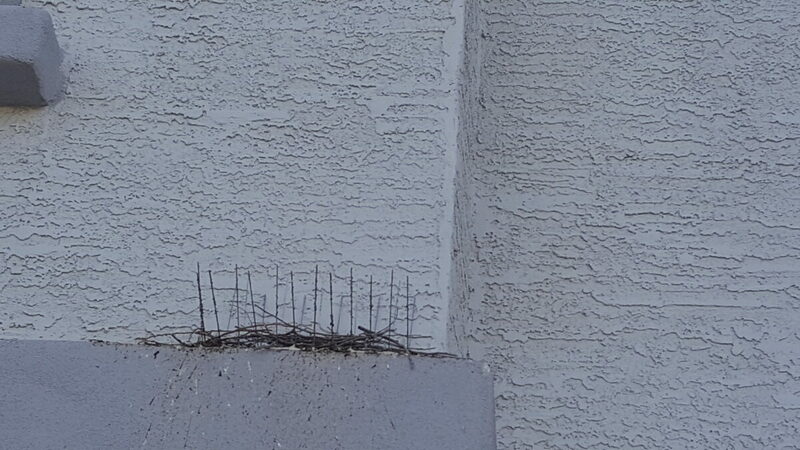 The other problem is what they leave behind in their nest or nesting areas. I’m just not a fan of these pigeons and their foul pooping crap they leave for us to navigate. I know I’ll get comments from people who just love these birds, OK I get it. Just from my point of view they are nasty. The rest of the story is that when you walk through this sh** you track it into your home. Little children, pets play on that floor = gross. So what do you do? 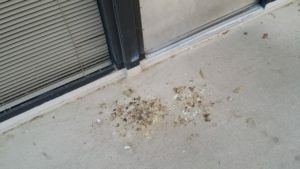 Hire ProBest Pest Management to clean it up and fix the problem 480-831-9328. 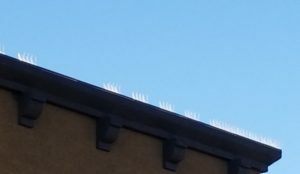 Correctly install bird spikes and check them to adjust. If the birds move, you correct that issue and pretty soon they will move on. These bird devices are the newest in deterring birds pigeons away from homes and businesses. 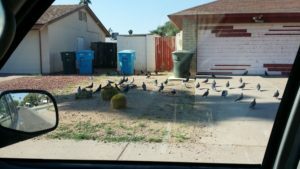 I have seen these popping up all across the Phoenix metro area. I will experiment with 2 on my roof, just for an idea of work-ability. I’m also thinking they would work on billboards etc. My arch enemy flying these days are woodpeckers. Its not like I don’t like them I just haven’t found a simple and effective way to keep them out of certain home areas. 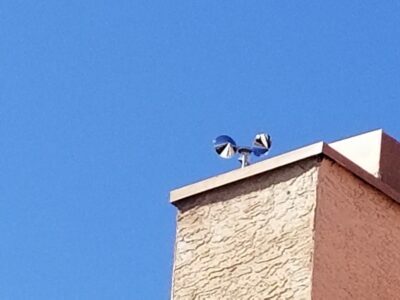 They just want to drum chimney areas with metal flashing and they can be quite loud. Silent, economical humane bird deterrent. Uses wind, sunlight, and reflective flashes to scare birds away. Great for use on buildings, boats and within agricultural settings. 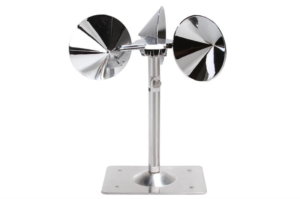 Made of durable aluminum and plastic for outdoor use. Device should be glued, screwed, or tied down to flat surfaces.